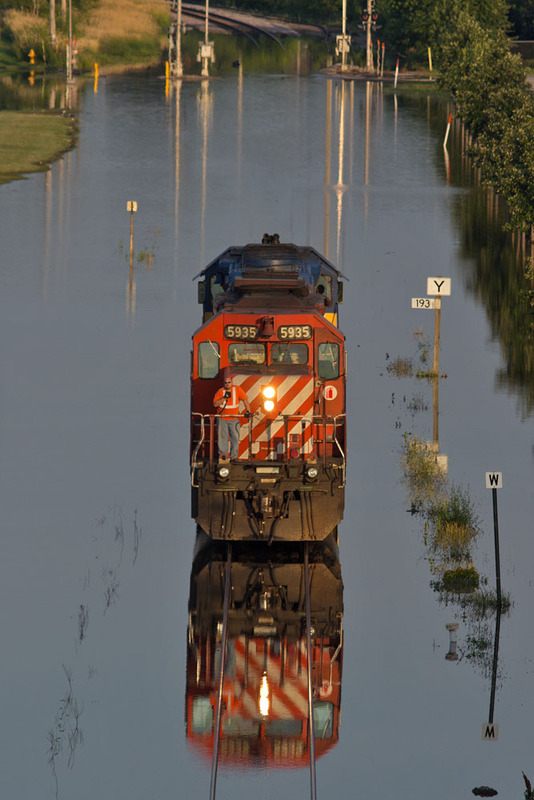 CP 5935 eases through floodwaters in Davenport, IA to pull a train into Nahant Yard on July 2, 2013. 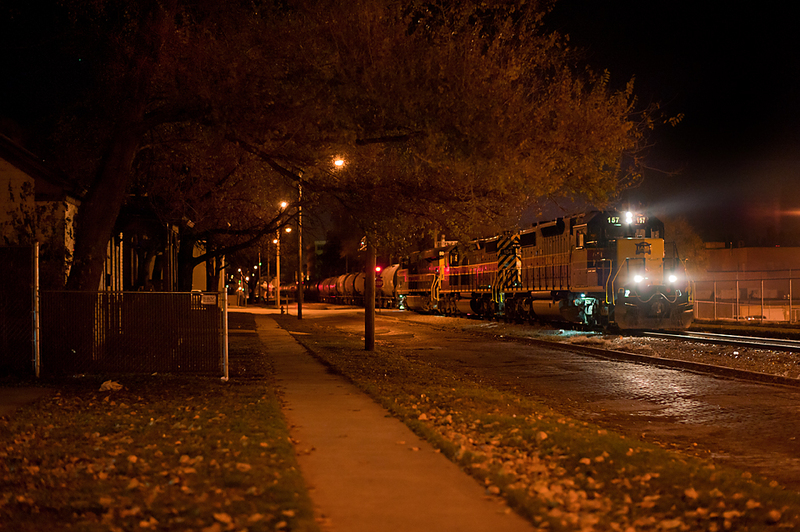 IAIS 157 leads a westbound down 5th Street in Davenport, IA on November 13, 2013. 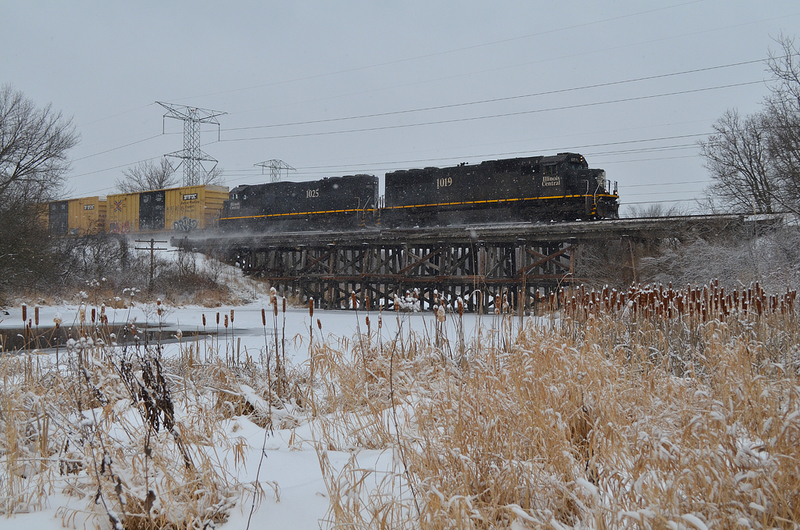 Lance Wales A pair of Illinois Central SD70's lead an eastbound through the Deer Run Forest Preserve near Cherry Valley, IL on December 14, 2013. 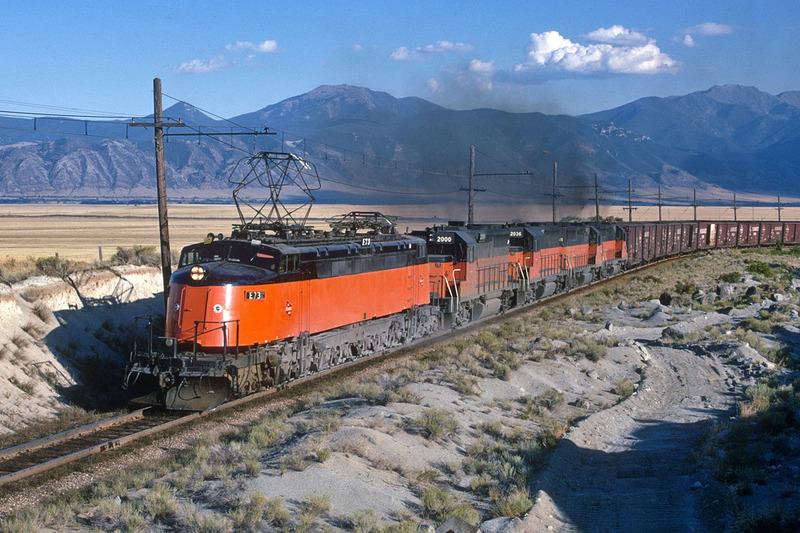 John Dziobko Milwaukee Road westbound freight near Vendome, MT in September 1968. 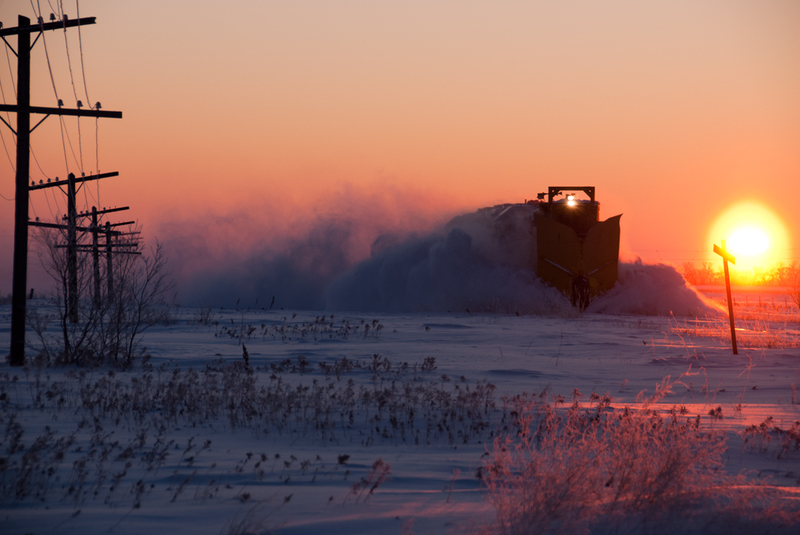 Robert Jordan Red River Valley and Western plow extra westbound at Dwight, ND on January 4th, 2011 at -15 degrees. 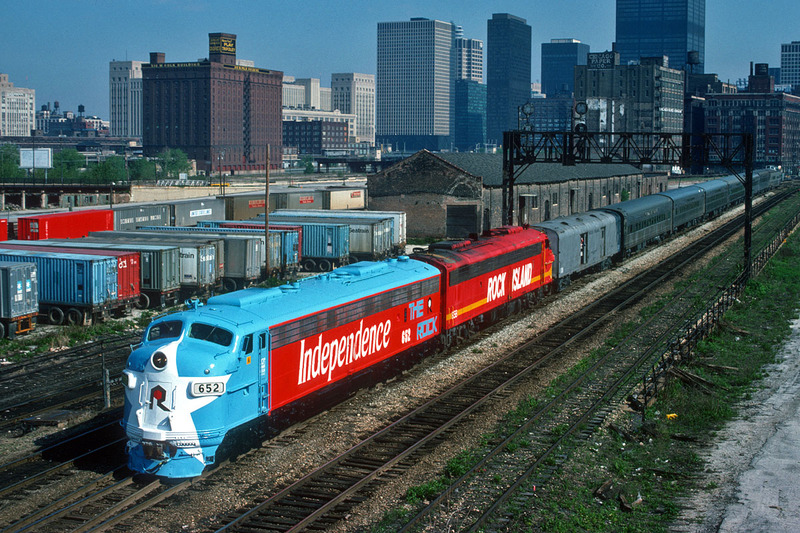 20th Century RR Club debuts Rock Island 652's Independance colors at Chicago, IL on an excursion to Bureau on May 16, 1976. 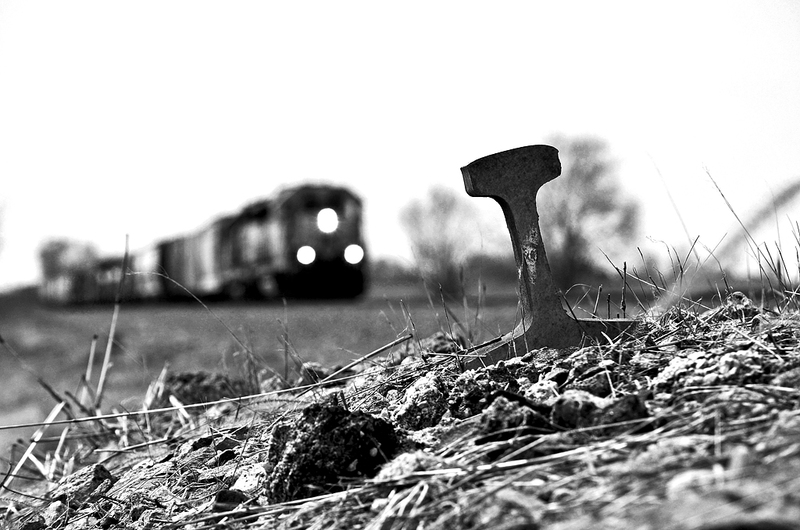 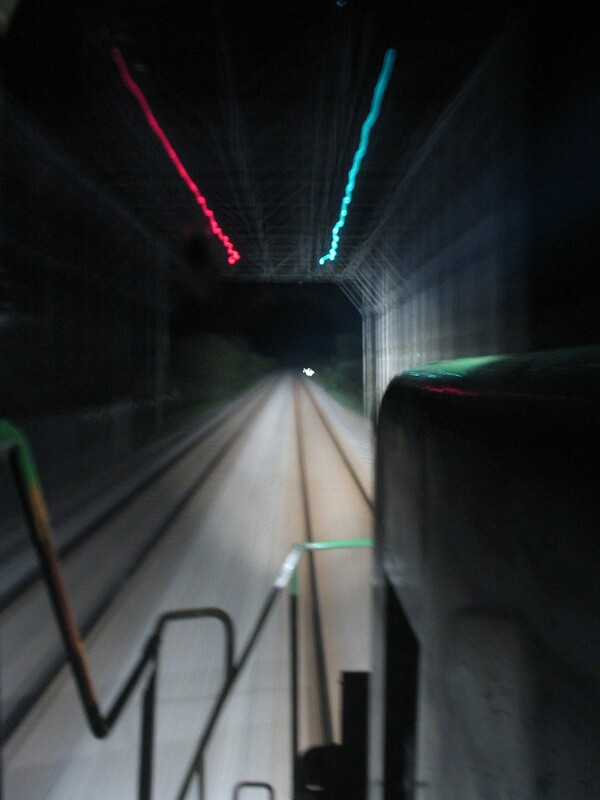 Lance Wales BNSF local works on the mainline near Zearing, IL with "Railph's" cousin in the foreground. 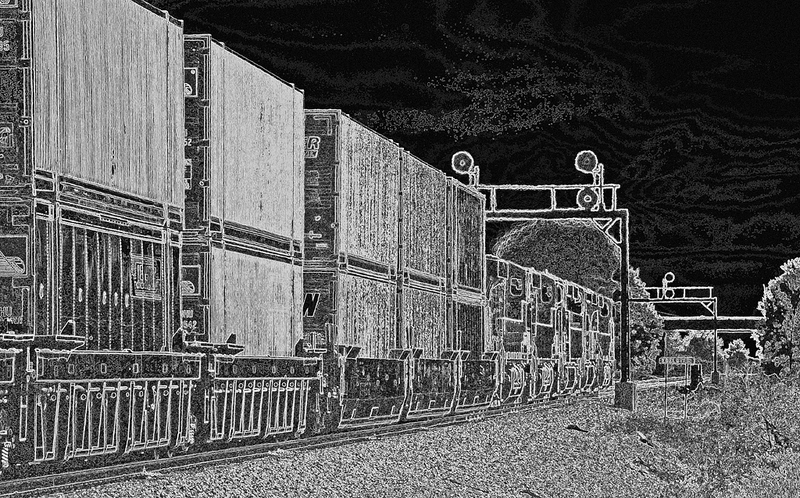 Jason Leverton Westbound CP freight approaching Monroe Center, IL on January 5, 2013.